Following extension after extension, the Rainbow Six Siege Beta finally came to an end. Over the 14 days I spent immersed in multiplayer gameplay with clanmates and old tactical shooter friends, I felt a mixture of emotions, met a bunch of new players, and was reminded of what team-based shooter gaming is all about. The following are my thoughts after playing the Rainbow Six Siege closed/open beta. CON: My only real gripe during the Beta was its matchmaking freezes and disconnects. Though this was incredibly frustrating, it's to be expected during Beta phase. I'm confident this will be a non factor come full release on Dec. 1st. The issues that were brought up concerning the cameras were quickly quelled by learning where they were and dispatching of the tattle tale lenses. This aside, let's move to the pros. My first observations was that there were a lot of people from my friends list, which is pretty diverse, that played and enjoyed the R6 Beta. These are people that I've met across many games, some tactical, some not. I found this united interest empowering. I watched my diverse network of friends quickly shine in the tactical teamwork and coordination spotlight of Siege. In contrast, we've played many other tactical games since SOCOM and none have created the level of "activation" I witnessed during the Siege Beta. It was pretty awesome to watch the R6 Beta community come alive through the game's tactical teamwork requirements. My second observation was the general conversation and camaraderie that took place among players and in between gameplay sessions. This reminded me a lot of SOCOM's "dead room," where players waiting to re-engage in gameplay actually took time to learn about their fellow gamers. It gave me hope that amid the overwhelmingly self-centered cultures found in many shooter gaming communities, there are still those with prosocial and proactive tendencies. My third observation was actual gameplay. Overall, I found the quality of play exceptional. The Dev. team's focus on strategy, planning, and coordination was refreshing. There was relatively no lag, great hit detection, intuitive controls, and fluid communication systems. The unlocking system was easy to understand and provided varied gameplay based on your personal preference. I also found the dedicated operator roles increased the Beta's tactical depth and replay value. When the game functioned as it was supposed to, R6 gameplay held our attention very well. The general consensus of my clanmates, friends, and the gamers we met during the R6 Beta is that most will be purchasing and playing this game to once again compete within a true tactical shooter universe. Considering the current trajectory of this IP, I envision Rainbow Six Siege becoming a rather popular haven for the tactical minded. I also see the R6 universe becoming a durable home for our 12-year tactical shooter gaming community for years to come. I can't wait wait for December 1st. The Division IGR is a scientifically recognized online gaming community established in 2003. If you think you have what it takes to become a member/leader within our storied community, we welcome you. They say don’t put all of your eggs in one basket but when you are talking to a veteran of the tactical shooter gaming scene in 2015, the “baskets” have been virtually non-existent. Our beloved SOCOM games franchise has come and gone and console’s tactical shooter genre is all but a memory. That is, it appears, until now. Tom Clancy’s Rainbow 6 Siege (R6) Closed Beta opens today and the slated December 2015 release is just over the horizon. After investing dozens of hours of IP research, forum participation, interaction with Devs, and stress testing multiplayer environments with clanmates prior to today’s Closed Beta release, it looks as though R6 may just be the tactical shooter homecoming many of us have been fighting for over the years. In addition to R6’s core gameplay being designed around one life competition, R6 Developers have stressed their desire to instill a sense of urgency and tactical importance in gameplay decision making. Throw in the necessity of team strategy, tactical communication, coordination, and execution and we have a game that hits the hot buttons of our Community’s tactical passion. For these reasons, l couldn’t be more committed to leading our Community toward the development of a respected and competitive presence in the R6 Universe. The energy among our membership leading up to today’s Closed Beta release has been palpable. 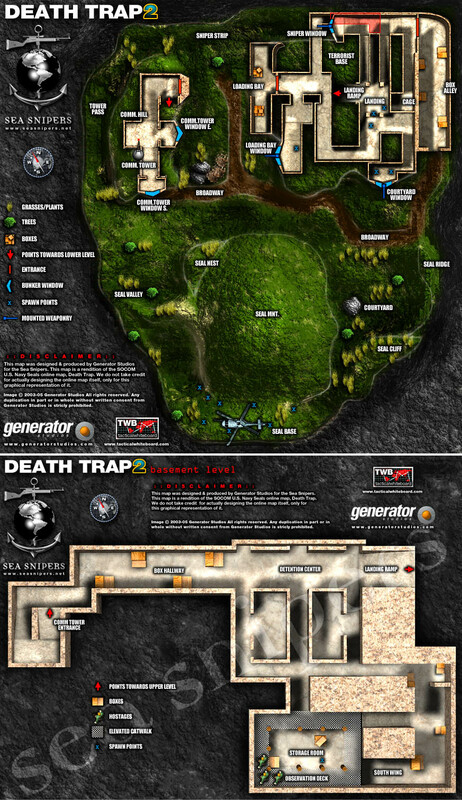 At the height of console's pioneering tactical shooter games franchise, our Community mastered a potent offensive playbook as breaching SEALs on the hardest clan war map in the game (Death Trap) and swept opponents often. This was accomplished through Community culture, strategy, practice, communication, and flawless team execution. Through R6 gameplay, my passion is to re-establish this level of tactical shooter excellence for the Division IGR, yet again. We enter today’s R6 Beta hopeful that we're embarking on the revival of the elusive clan-based tactical shooter experience so many of us have longed for.